MPA is now accepting entries for our Top 10 Brokerages list. If you are an independent or franchise brokerage you can enter here. 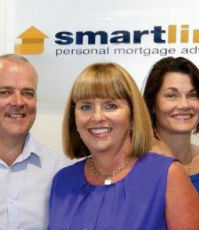 We take a look back at what makes a Top 10 Brokerage with Smartline from Currambine, WA which listed ninth in our 2016 Top Franchise brokerages. Not only did Dave Urquhart make last year's top 10 in a struggling local economy but they went further and expanded their operations and marketing. Urquhart said they were putting their energy into a “stronger focus on our existing client base”. The 11 year old brokerage consists of a team of six brokers and two administrative staff and in 2016 it launched a blog with articles of general community interest, such as new supermarkets opening in the area, which Urquhart believed would prove popular. “That’s got a good following of 820, just over the last month, and we’re looking at increasing the coverage of that.” They also advertise on Facebook and are present on LinkedIn. Want to see if your brokerage makes our Top 10? Entries are now open, simply follow this link and choose either Independents or Franchise and complete the entry form.